Among all the fireballs and the high-tech electric cars to present in Paris, Mercedes-Benz is bringing the new Bobby-AMG GT into the spotlight. It is the only open-top single seater at the French Motor Show. 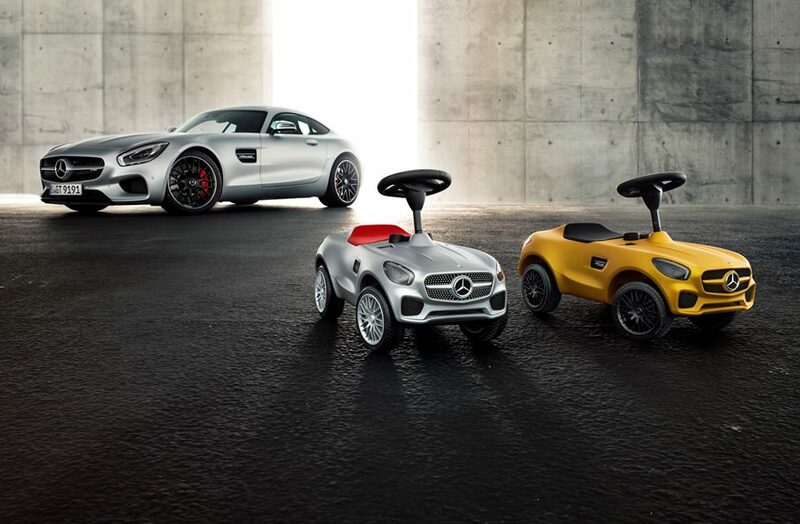 The Bobby-AMG GT is powered by two little human feet, it features whisper tyres and rims with the AMG-specific cross-spoke design for outstanding grip and direct steering for superior manoeuvrability in the family living room. 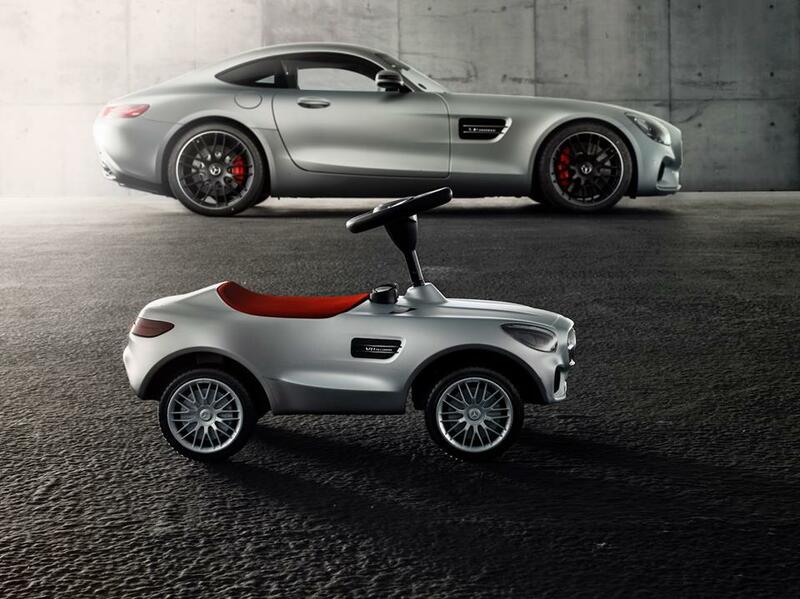 The tiny car for the youngest toy-heads is available in classic silver. The GT S version comes with standard LED headlights and AMG Solarbeam paintwork. It is already the fifth-generation car for children, who can enjoy form the full comfort of a foam-made cushion, finished in red pepper. Assembly instructions and a set of stickers accompany the new car. The bravest of drivers can manoeuver the steering wheel with flattened bottom section, placed in front of the two-tube instrument cluster, just like in the real car. A “Tribute to Bambi” limited edition with exclusive sticker pack highlighting the German national football team will be sold in just 1,000 units. All money will be donated to disadvantaged children. 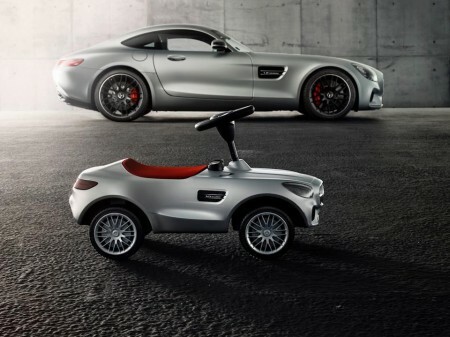 The toys are available in toy stores and in all authorized Mercedes-Benz dealers. There is also a specific website for buyers, with buying guides and tests, so parents know what they give their children before they purchase the toy. 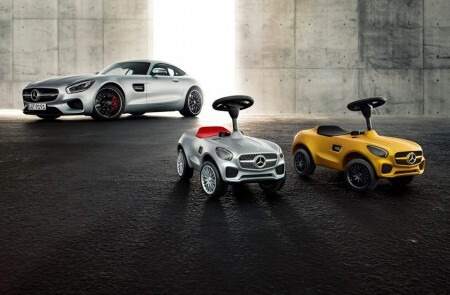 The first Bobby Benz rolled over into nurseries more than 20 years ago, as a tribute to the yellow SLK of the R 170 series, but BIG has been producing the Bobby Car since 1972. 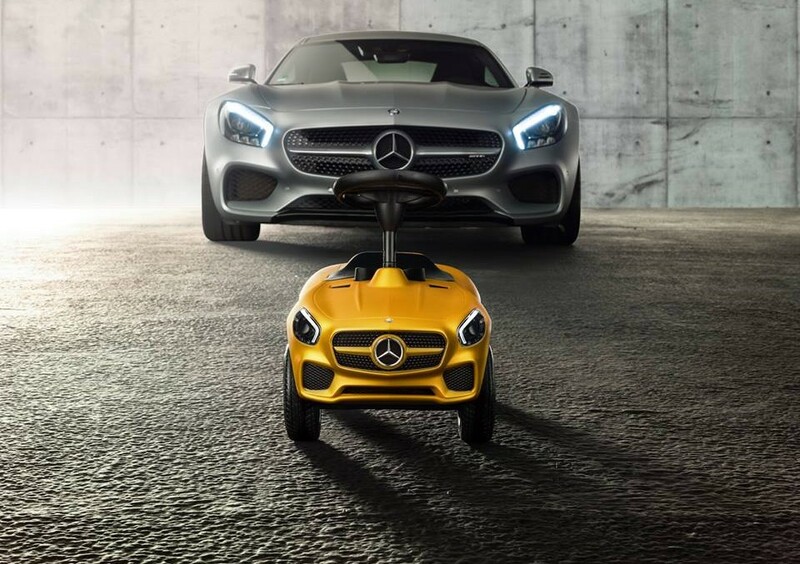 To date, more than 17 million such toys have been built, turning it into the world’s best-selling ride-on toy car.